The 1st International Meeting on Retouching of Cultural Heritage took place on October 19th, 2013 in Porto, Portugal. It was hosted by Escola Artística e Profissional Árvore at the Church São José das Taipas in Porto and coordinated by two of its teachers, conservator’s Ana Bailão and Frederico Henriques. The conference joined both teaching institutions and firms of conservation and restoration from Portugal, Spain and Croatia. The International institutions that participated in the event were the Escola Superior de Conservación e Restauración de Bens Culturais de Galicia (Santiago de Compostela, Spain), the Instituto de Restauración del Patrimonio of the Universidad Politécnica de Valencia (Valencia, Spain), the Fundación “La Llum de les Imatges” (Valencia, Spain), and the Croatian Conservation Institute (Split, Croatia). Around 150 people attended this event, mostly professionals and students of conservation and restoration from all Portugal, who benefited from the fact that the conference attendance was free of charge, which was a great accomplishment by the organization given the great quality and variety of all presentations. This accessibility also reached all the interested who could not be present through a streaming broadcast. This one-day conference comprised 15 lectures devoted to broad views of research problems and specific questions regarding retouching practice. 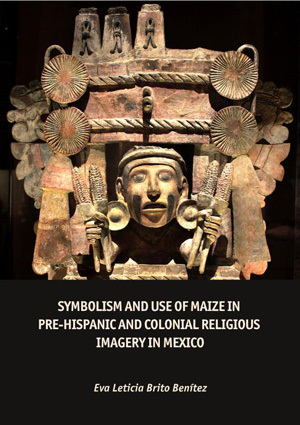 The main purpose was to promote the exchange of ideas about concepts, terminology, methods, techniques and materials from the different areas of expertise: mural painting, easel painting, sculpture, graphic documentation, architecture, plasterwork and contemporary art among others. The presentations were organized into three sessions: 1) Theory and teaching of retouching; 2) Case studies concerning immovable and movable heritage; and 3) New technologies and their applicability in the study and documentation of retouching. After the registration, the opening speech was given by Francisco Silva, head of Escola Artística e Profissional Árvore. Ana Villarquide and Rosa Fernandéz, from the Escola Superior de Conservación e Restauración de Bens Culturais de Galicia (ESCRBCG), delivered the first lecture entitled “Retouching training at ESCRBCG”. They talked about the variety of materials, techniques and criteria of retouching used at ESCRBCG. According to their lecture, the aim of their course is to clarify all these aspects to the students, in addition to its practical realization. The second lecture was given by Vicent Guerola Blay from the Instituto de Restauración del Patrimonio of the Universidad Politécnica de Valencia and Antoni Colomina Subiela from the Fundación “La Llum de les Imatges”. They presented a video entitled “The retouching of the colour in Valencia: methods of intervention and training in its institutional framework, university and business”. Through a quick tour of some the most representative restoration companies of the city of Valencia, the video document different systems of retouching in diverse art works such as easel painting, gilded surfaces and tile work, giving new approaches to difficult solutions. General view of the conference during the presentation of the video by Vicent Guerola Blay and Antoni Colomina Subiela. Photo by David Guimarães. Church view. Photo by Adriana Rodrigues Bastos. The final talk of the first session “Approaches to retouching criteria - methodologies in the work context” was held by Ana Bidarra and Pedro Antunes, from the private company Cinábrio, Conservação e Restauro. The main subject was exploration of the different aspects which can limit the extent of the retouching intervention, such as material, social, historical and aesthetic. This communication had the intent to highlight the dissimilarities in intervention criteria within different areas of intervention in a private practice context. The opening session started after the coffee-break with the video presentation of Sandra Šustic, Zrinka Lujic and Jelena Zagora from the Croatian Conservation Institute, Tea Zubin Ferri from the METRIS Research Centre for Materials of the Region of Istria and Frane Mihanovic from the Arts Academy of the University in Split. Under the title “Beneath the surface of mimetic retouching”, the presentation explored the main stages of preliminary research in retouching Old Masters paintings. The aim was to make evident the importance of technical information gathered in the conservation-restoration process, and demonstrate their application in mimetic retouching. 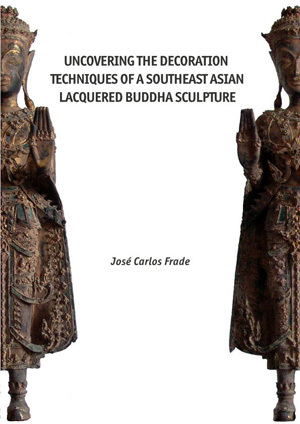 In this context, the authors have considered several interesting case studies carried out at the Croatian Conservation Institute and Arts Academy of the University of Split. Afterwards, the lecture on “To retouch or not to retouch? Practical case studies” given by Carlos Mota, from Museu do Douro, continued with the practical issues and described the intervention criteria applied at the museum during the retouching process in three case studies. At the end, the lecture posed an interesting question: can the retouching practice contribute to the sustainability of the conservation-restoration in museums or not, bearing in mind it’s educational and sensitization role? The presentation “Chromatic integration of losses in sculpture” by André Remígio, from the private company André Varela Remígio – Atelier de Conservação e Restauro de Escultura e Talha Dourada, emphasized terminological problems between the definition of the word integration and reintegration and presented certain retouching criteria applied in restoration of sculptures. The principles of authenticity, minimal intervention, discernment, reversibility and compatibility of materials where discussed. Reinforcement of specific ideas was highlighted: the retouching process must be restricted on the area of the loss exclusively, without disturbing the reading of the message; the operation should be perfectly discernible on a certain distance for the conservator-restorer, but indiscernible from the distance of ordinary observer. Furthermore, the conservator-restorer should have the supremacy when making decision in all interventions, especially in retouching. The morning session was closed with Leonor Loureiro, from the Instituto Politécnico de Tomar. The author introduced the subject “The retouching of Chromolithography’s: Problems and Solutions”. The intention of the presentation was to provide data that can help to identify original cromolitography´s and also to present a case study of a German Chromolithography of 1909, called the Sacred Heart of Jesus. The problems of the conservation and restoration intervention of this particular chromolithography, in particular in the retouching process, where broadly analyzed and elaborated. The second session began with the communication of the architect Miguel Tomé from Escola Artística e Profissional Árvore about “Architecture and transformation: the value of the existing”. The author spoke about the historiography of architecture restoration in Portugal in the 20th century. The purpose of the presentation was to provide facts about the restoration of buildings as act of transformation [integration and reintegration] and the restoration as artistic expression. Methodologically, this double orientation was supported by numerous illustrative images about the interventions with a critical interpretation of the reintegration actions. The presentation “Retouching of mural painting, a way” by José Artur Pestana from the private company Mural da História, was an interesting personal reflection about retouching in mural painting intended. It was based on real cases studies, mostly interventions performed by the company in the last 20 years. Apart from the common how was it done issue the author intention was to promote a healthy dialogue by focusing on a matter why it was done, and with which criteria. His final conclusion was “less is more”. The next lecture, by Carla Pereira of the private company Atelier Samthiago – Conservação e Restauro, was on “Retouching plasterwork: materials and techniques”. The aim of the communication was to present new solutions of retouching to re-establish the uniformity and the visual set of the plasterwork, in order to recover and enhance their historical and artistic potential, sometimes jeopardized by numerous layers of over-paintings whose materials are not best suited to support. Afterwards, the lecture on “The retouching of easel paintings” given by Ana Sílvia Rocha from the company Porto Restauro, described the intervention criteria, materials and techniques of retouching applied by the company in their 20 years experience. The hue, the shape, the texture of the pictorial surface, the binder, pigments, varnishes and retouching techniques were debated. The final conclusion was that in the last two years the company began to use more mimetic techniques. Anabela Fonseca and Fernando Araújo Jorge, from the company AF&FA, Conservação e Restauro de Obras de Arte, brought the next lecture entitled “A painting, two techniques of retouching”. The interesting demand of the client was debated in this presentation. After the cleaning process the company were confronted with the requirement to perform mimetic retouching. However, the absence of some areas of the pictorial composition, of which they had no evidence of the original form, forced them to apply two methods of retouching, mimetic and distinctive, in the same painting. The first technique was used to reconstruct the faces and the second to rebuild the drapery. The second session ended with the presentation “The collaboration of the artist in the process of retouching Contemporary Art” by Joana Correia, Marta Palmeira and Nancy Fonseca, from the company 20|21, Conservação e Restauro de Arte Contemporânea. They debated the challenges of the conservation and restoration of contemporary artworks with three case studies of three Portuguese artist´s: Jaime Azinheira, João Cutileiro and Patrícia Garrido. According to their study, when the author of the damaged artwork is alive, all the process of conservation and restoration should be preceded by an important reflection about legal, ethical and practical issues. Therefore, the collaboration of the authors during the intervention should always be considered in addition to the requirements and customer specifications. The author or the owners of the rights of authorship can support the intervention process, contributing with information about materials and techniques, and helping making decisions about priorities of preservation. After the coffee-break, the third session began with the communication “Application of the SYDDARTA project in cases of retouching” by António Cardoso, from the company Signinum, Gestão de Património Cultural. His presentation focused in the SYDDARTA project, an on-going European Commission funded initiative under the 7th Framework Programme. According with the investigator, its main objective is the development of a pre-industrial prototype for diagnosing the deterioration of movable art, including the tasks during and after one intervention of conservation and restoration. The device combines two different optical techniques for the acquisition of data: hyperspectral imaging and 3D scanning. These techniques are integrated in a single piece of equipment, allowing the recording of two optical information streams. The equipment will be also portable and user-friendly. It can create databases of materials such as varnishes, pigments and extenders. The possibilities of applying this kind of equipment to monitoring the retouching process before, during and after the intervention where discussed and elaborated. Sérgio M. C. Nascimento, from the Center of Physics from the University of Minho closed the third session with the presentation “Scanning artistic paintings: methods and applications”. The communication of the investigator was addressed to the spectral imagiography techniques which can produce a simultaneous record of the spatial and spectral properties of a sample. These techniques have been successfully used in the analysis of paintings with the aim to estimate the reflectance of each point and thereby determine the chromatic associated maps. 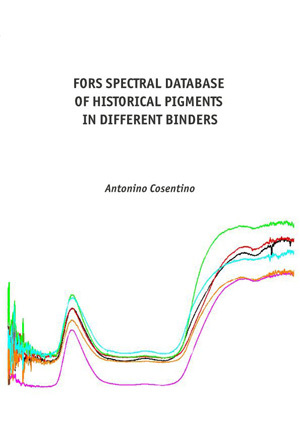 Diagnosis and monitoring of degradation, identification of pigments, the restoration process, and quantitative colorimetric analysis, are some of the applications of these technologies. The communication began by addressing the fundamentals of objective measurement of colour, describing the most common conventional techniques and briefly explore a technique of spectral imagiography based on a low intensity noise chamber coupled to an electronically liquid crystal tunable filter. Then, some real examples of application were explored, like the visual effects of different types of lighting in a number of paintings from the Museum Nogueira da Silva and also colorimetric analysis of a set of paintings by the Portuguese artist Amadeo de Sousa Cardoso (1887-1918). Even with few resources and sponsors, the organizers managed to obtain a complete and well distributed programme that filled the whole day with the participation of international and national institutions and active professionals of conservation and restoration in Portugal, proving that a lot of work and dedication to a cause can have its rewards. Retouching techniques and materials were updated and retouching issues from current practice were presented, yet little discussed. Indeed, in my opinion, the number of participants or the time given to each one (around 20 minutes that tended to be exceeded) did not give room to a needed debate and the end of the sessions, which would have been important, given the different approaches to retouching that were presented. I hope this will be the 1st of other successful events regarding retouching and other themes of conservation, for it is clear that there is an audience of professionals and students who need an informal and unpretentious environment to discuss our everyday practice.